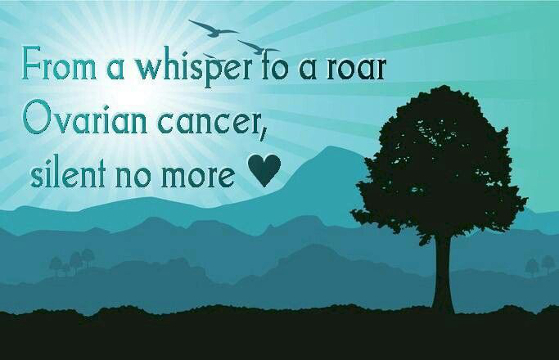 The Ovarian Cancer Alliance of California (OCA) blossomed from a chapter of a national ovarian cancer advocacy organization. OCA was founded in May of 1998 as the first chapter of a national organization in California. In August of 2000, the “chapter” filed for non-profit status and is a freestanding, non-profit organization. A nurse, a survivor, a fund-raiser and a daughter who lost her mother and aunt to the disease founded the California group. This group has made their presence felt throughout California and the nation. Fulfilling the need to distribute Spanish-language literature at Stanislaus County’s Hispanic Health Fair. The local group had the risks and symptoms translated to Spanish. Prior to their efforts, Spanish literature did not exist. Since that time, the risks and symptoms of Ovarian Cancer have been shared in Spanish with other ovarian advocacy groups throughout the United States and with public agencies. On a national level, because of the success of the California group. the founding members were invited to serve as speakers at national conferences. Together they taught new and struggling NOCC chapters from throughout the United States how to plan special events, and how to solicit corporate sponsors. In addition, they taught survivors and advocates how to organize at the local level. Their efforts resulted in guidance and organizational direction to three additional groups in California. Through a collaborative partnership with Emanuel Medical Center, the OCA has been instrumental in bringing world-renowned ovarian cancer speakers to our area. Luminaries such as Dr. M. Stephen Piver and Dr. Carolyn Runowicz. Because of this partnership, more than 1,100 women have had the opportunity to hear these medical experts speak and to learn more about the risks, symptoms, diagnosis, and treatment of Ovarian Cancer. Another program and activity initiated by the California group was the development of a volunteer training manual. The manual is used to conduct an eight-hour training program and after completion, newly trained volunteers have the knowledge needed to talk with women about the risks and symptoms of ovarian cancer at health fairs, service clubs, and by telephone. In the group’s first four years they reached more than three-quarters of a million women, sharing the risks and symptoms of ovarian cancer.